I first encountered Sound of Rum's lead singer Kate Tempest at a mini festival in a Kings Cross pub a few years back. That evening she delivered the most amazing spoken word I've ever heard, anyone who has ever witnessed a Kate Tempest performance will agree the girl has passion and writes some slamming poetry. 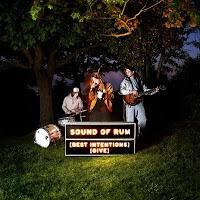 Sound of Rum is basically Kate delivering her hip-hop style poetry to music and you can hear a session she did for Cerys Matthews 6 Music Sunday show here. They'll be playing loads of festivals this summer, I highly recommend you check them out.